Show me your favourite glamour shots of Clawdeen? Re: Show me your favourite glamour shots of Clawdeen? Oddly enough, it would appear I haven't taken many photos of Clawdeen, at least not by herself. The only Clawdeen I've got at the moment is the Scaris doll. BTW, here is my 13 Wishes Clawdeen. My GR Clawdeen, one of my all time favorite dolls in my collection, and my personal favorite Clawdeen. I only own FCA Clawdeen and I thought I had more photos but apparently just have one of her modeling the fur coat I recently made. thank is a beautiful pic!! Love her in fur! Thank you! The photo irks me because she isn't looking at the camera but the coat was a gift I sent off so I can't retake. So many cute werewolf photos! Ack! I'm surprised by how much I like her Dead Tired release, actually. I'd never given her a very close look, but she cleans up very prettily. 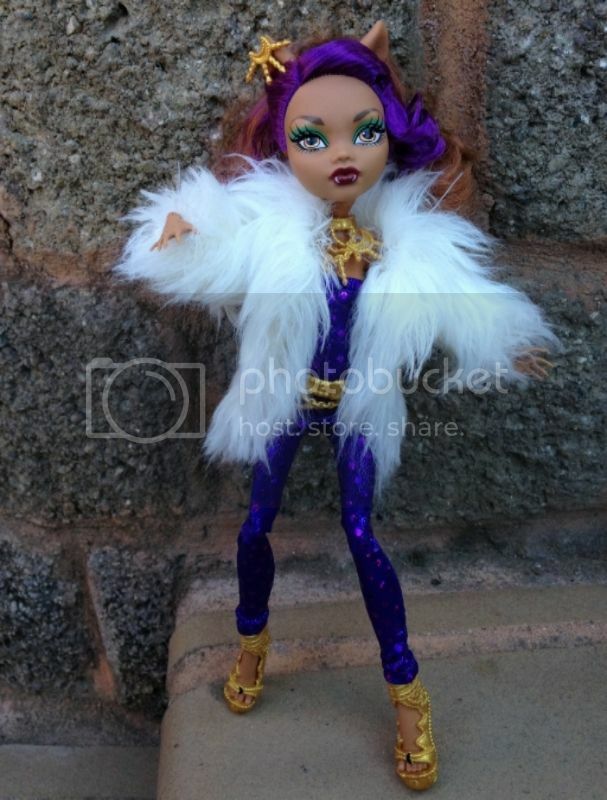 This is the picture that made me have to have GR Clawdeen! I blame thank Tuneful for that! Thank you, I made that dress for one of JiaShen's play along ANTM photos (she is wearing it in my Avatar), but has become one of my favorite dresses for photographing dolls as it looks amazing on every single one I have ever put it on. Ooh, nice! Did you part her hair to the side as well? 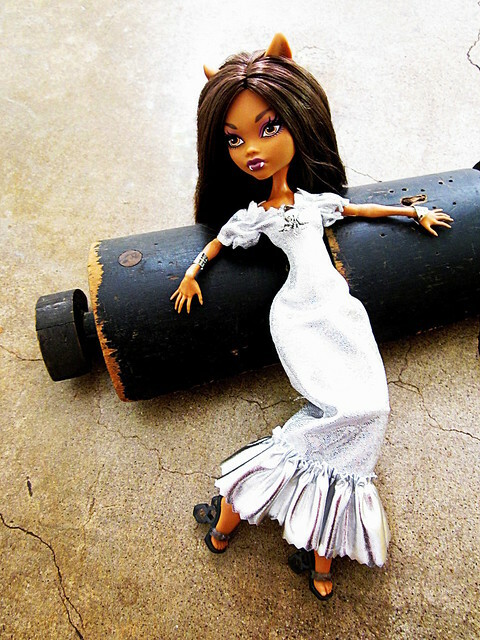 OMG, you guys are making Clawdeen look so fierce! I love it! No, I have not really changed her hair, just brushed it out so it was more fluffy as shown in the pic I posted. I simply adore her. She also looks stunning and very "Clawdeen" dressed in Scaris Catrine top and skirt with the GR harness, belt and shoes. My poor beautiful Clawdeen has glue seepage so it would look greasy if I did, and with the flocking I am terrified to try and treat it as I could easily ruin her and would have no way of replacing her and she is one of my most favorite dolls in my collection. If she did not have that problem I would part it to the side. Oh, man. So many great photos! I'm finding more and more of her dolls to track down now. You've all completely sold me on a few of these. Dead Tired, ILF and Ghouls Rule seem to be ranking the highest for me right now! All three have some real star power qualities to them.